Susan Peterson and John Teal gave up the development rights to more than 100 acres in Rochester for the peace of mind of knowing the land will be preserved as open space in perpetuity. “We’re very conservation-minded people, and we wanted to do the right thing,’’ Peterson said. Through a legal arrangement known as a conservation restriction, the couple can continue living on Teal Farm and pass their property on to their heirs, secure in the knowledge that the land will remain if not a pure wilderness, then the “working landscape’’ it has been for hundreds of years, Peterson said. 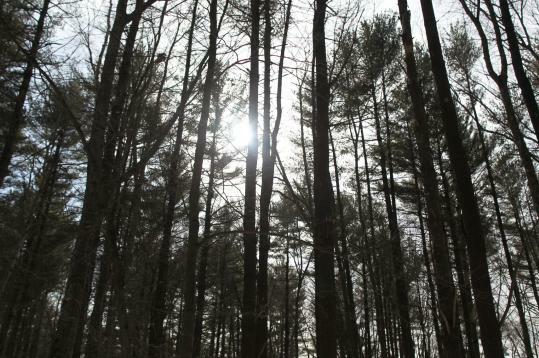 Land conservation groups such as the Duxbury-based Wildlands Trust believe that an expanded federal tax incentive program will encourage others to do what Peterson and Teal did, providing a financial reward for an act that benefits their community by preserving open space. When landowners donate a conservation restriction, or easement, on their land, they give up development rights while maintaining ownership and the right to sell or pass the land on to their heirs. Congress recently renewed a tax incentive that allows property owners who place a conservation restriction on their undeveloped land to deduct 50 percent of their income, and extends the deduction to 16 years up to the full value of their gift. So a landowner with an annual income of $50,000 a year would be able to deduct $25,000 for the year of the donation and then for 15 more years, for a total of $400,000 in deductions. Farmers and ranchers are allowed to deduct 100 percent of their income. While Congress put this into effect for this year only, the Land Trust Alliance, a national lobbying organization, is trying to make it a permanent part of the federal tax code. As opposed to giving up property by selling or donating it, a conservation restriction is a legal encumbrance on land held by another entity that bans the construction of housing projects or other kinds of commercial development. The holder of the restriction manages the property to assure it will remain open, green conservation space. “Our whole community benefits when landowners have a financial incentive to conserve their land,’’ said Karen Grey, executive director of the Wildlands Trust. Along with other members of the national Land Trust Alliance, the Wildlands Trust believes the generous tax deductions should be made permanent so property owners can plan ahead. Grey said the program approved for this year also existed from 2006 through 2009. When it lapsed last year, the deduction dropped to 30 percent and could only be used over six years. During the four years when the higher deduction was in effect, 11 private landowners made conservation restriction agreements with the Wildlands Trust. Last year, none did. The trend was mirrored statewide. The Nature Conservancy, a major land trust organization in southeastern Massachusetts, said the number of restrictions peaked in 2008, with more than 10,000 acres protected statewide. After the federal tax credit ended, land restrictions declined to around 4,000 acres a year. Congress did allow the higher credit to lapse in 2009, but voted to restore it retroactively at the end of that year. The Land Trust Alliance said its survey showed a sharp increase in restrictions after the higher deduction went into effect. Between 2004 and 2007, the number of acres protected by restrictions increased from 750,000 acres a year to 1 million a year nationwide, said Russ Shay, the alliance’s director of public policy. For many landowners the tax savings made the difference, Grey said. Peterson said she and her husband began to consider how to preserve the 100-acre farm they purchased in the ’70s, plus the 50 acres they acquired later, when developers discovered Rochester. Arranging the conservation restriction proved complicated, she said. The bank with a mortgage on the property wasn’t keen on giving up developmental rights. Assessing the value of development rights is governed by state rules and requires a certified appraiser. Another step is talking to family — especially important in Peterson’s case since her grandchildren had begun farming a piece of the property and their rights had to be protected, too. The outcome was also worth the effort for Clark Griffiths, a Carver cranberry grower. “We were looking for what to do with the property,’’ Griffiths said, since he and his wife have no heirs and didn’t want to sell the land to developers. “I felt when it leaves me, I want to leave it in a condition that it remains the way it is,’’ he said. The conservation restriction is a good preservation tool when land trusts lack the funds to buy property outright, he said. Plus, he received “this largesse’’ in the form of a tax write-off that was worth in the high six figures. Griffiths, too, said the process proved involved and cost him some money in fees, but the results were good both for him and for his neighbors. “Their house values went up,’’ he said, because a buyer is assured the woodland next door will remain wild. And while protecting 39 acres of open space around his farming operation through the restriction, Griffiths continues to grow cranberries on his bogs. But some experts say that conservation easement programs must be designed with an eye toward unintended consequences. Gregory K. Ingram, president of the Lincoln Institute of Land Policy, said that when land “is taken off the table’’ outside a large metropolitan area, it increases the market value of land that is still in play — raising housing prices and possibly making it harder for new housing to be built. He also said land use studies have shown that excessive and inappropriate use of conservation easements in some parts of the country has made regional planning more difficult. A state income tax incentive program created two years ago to encourage conservation restrictions placed a $2 million annual cap to protect the state from potential revenue losses. The state program offers a credit against state income tax of 50 percent of the value of the property, but limits the credit to $50,000 — significantly less generous than the federal tax incentive. Stephen Long, government relations director for the state branch of the Nature Conservancy, also pointed out that state law requires that property must have some clear environmental value to be eligible. Susan Peterson said a conservation restriction was the right choice for her family, especially after her grandchildren became interested in farming on a historically farmed piece of her property, while the rest remains in its natural state. “That’s a wonderful outcome for us,’’ she said.